Classic cars, great food and family activities - what a perfect way to spend the day before the evening 's fireworks! 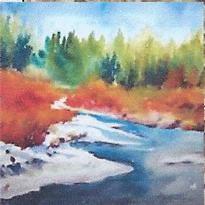 Join us at Flaming Gorge Resort for a great summer of Watercolor Painting Workshops with Uintah Mountain Artists! Flaming Gorge Resort, located in the high Uinta Mountain tops near Flaming Gorge Reservoir, offers comfortable and cozy lodging. Enjoy the remarkable recreational opportunities in this part of Utah. Have a relaxing meal at the restaurant, or just wander and shop at the gift and souvenir shop. 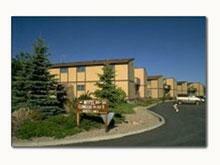 Whatever your pleasure, our friendly and courteous staff will see to your every need and make this an enjoyable stay. Great winter lodging discounts available. Pets rooms are available upon request. Access to hiking/biking trails, basketball court, kids and box, restaurant, fly shop/gift shop, fuel center, fishing guide service, RV park and raft rentals. Located within the Ashley National Forest, Flaming Gorge Resort is located 4 miles south of the Flaming Gorge Dam on US Hwy 191. Thank you for visiting http://www.flaminggorgecountry.com/Colletts-Mountain-Resorts-dba-Flaming-Gorge-Resort! Be sure and revisit flaminggorgecountry.com frequently for content updates and more.